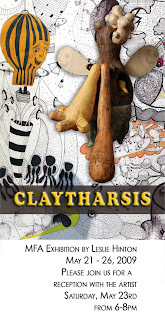 Gallery 80808/Vista Studios is pleased to announce the opening of Leslie Hinton’s MFA solo exhibition, Claytharsis. Shown in the main gallery from Thursday, May 21 through Tuesday, May 26, 2009 at 808 Lady Street in downtown Columbia, South Carolina. 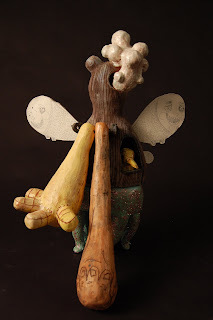 This show will feature sculptural ceramics accentuated with drawings, paintings and a short loop video. 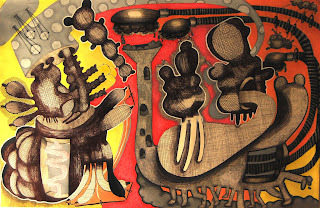 The opening reception will be on Thursday, May 23 from 6 – 8 PM. The artist will be in attendance. 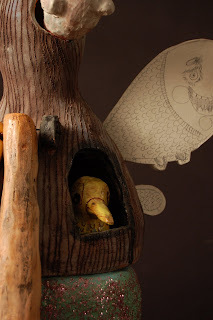 Leslie’s work is wonderful and very insightful. You are able to see the expression of her emotion in her pieces. I am very excited for the reception tonight.